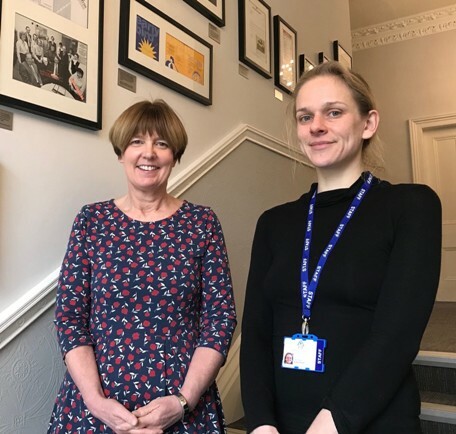 Raworths Solicitors has announced they will be actively supporting the Harrogate Homeless Project (HHP) who have been nominated as their Charity of the Year. Employees at the company chose the organisation owing to the increasing visibility of homelessness in the local area and wanted to do what they could to raise money. “The team has chosen to support the Harrogate Homeless Project this year as it’s hard to not notice the increasing numbers of people on the streets in Harrogate” said Zoe Robinson, managing partner at Raworths. Raworths staff participate in several sporting and social activities throughout the year to raise funds for their selected charity; one of the highlights of the fundraising calendar is the Knaresborough Bed Race, in which Raworths have a team competing each year. There will also be a team entry for York Marathon Relay, in addition to cake bakes, tombolas and other events, all intended to provide staff with some light-hearted fun whilst raising money for an important cause. The Harrogate Homeless Project support the homeless by helping them to find the strategies, support and services they need to begin the difficult journey back to truly independent living. In addition to their hostel on Bower Street, they run a day service called Springboard in Harrogate town centre. This important facility provides food, shower facilities, activities and one-on-one meetings with support workers; all designed to help homeless or formerly homeless people get the help and advice that they need. Julie Everill from the Harrogate Homeless Project said: “We’re so pleased that Raworths has chosen to support our cause this year. The winter months are particularly tough for those on the streets so it’s a critical time for our organisation. During 2017 Raworths employees raised funds for the Harrogate Carers’ Resource, an organisation which gives important support and respite to young people who are often the key carer for a relative or parent. Staff exceeded the pledged donation raising £2000 throughout the year.